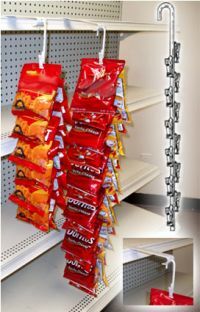 Our Metal Clip Strip ® Merchandising systems are long lasting, durable and re-usable in most scenarios, built to hold heavier items. These wire metal impulse clip strips are an evolution of the original Clip Strip ® Brand Merchandising Strip that our founder invented. 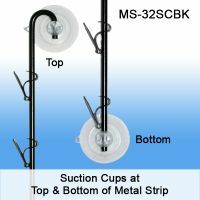 Since they are meant for heavy merchandise that requires a much more aggressive mounting hook than a plastic strip can give, we carry heavy duty metal versions using coil springs welded to the stem which have very strong tension on each metal clip, which is the most powerful way to manufacture this type of display rack. 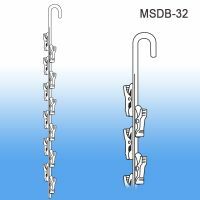 We also make an Economy version, our MS-32, which although suitable for many needs, uses tempered coiled spring steel clips which provide efficient gripping power and ease of operation at a more cost efficient price. 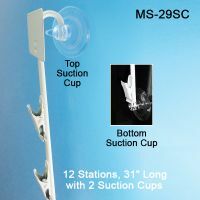 Our Heavy Duty MS-29 Series is powder coated in a variety of colors, our economy strip comes in black and off-white and most others are simply in the most popular color of off-shite. 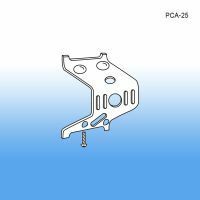 Most come with headers or scan tags at the top, and we also carry a double sided hooked option. 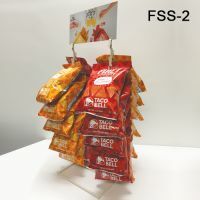 You will also find metal counter or shelf top snack racks, a merchandising strip product, popular at deli’s, convienence stores and dollar stores here. 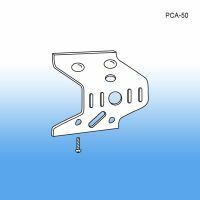 As the inventor of the strip mechandiser, you can count on us to deliver the best display possible. Ask us for free samples if you are unsure of what product is right for you or if you want to compare our quality to inferior knock offs. 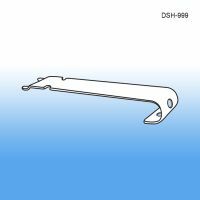 Metal Merchandising Strips are ideal for the product merchandising of products that are restocked frequently, heavy and/or more expensive. 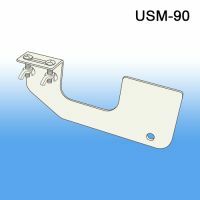 Need us to load your strips with your product, attach a shelf fastener, box them up and ship to you or to the end user? Contact us today about our Kitting and Fulfillment services. 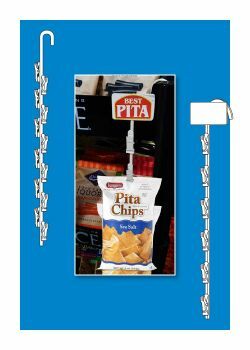 Need Custom Printed Clip Strip® Brand Merchandisers (not metal), see our NO TOOL/NO DIE stock Strips here.